“Do you wanna build a snowmaaann!!?? “ This song is going on in my head over and over again since morning because I saw this funny meme where Anna’s ( from frozen)face has been replaced with Tony Stark’s and he is saying “ DO you wanna Build an Ultron?” and Bruce ( The Hulk) Replies “Go away, Tony” ! I laughed at it for a long time! Does this happen to you?? A song stuck in your head, all day long?? Let me know in the comments because now I am going to tell you about a wonderful , wonderful combo whose fragrance is so soothing that you would want the fragrance to be there with you like the song in your head ( if that happens to you too that is :P), but this would make you feel good , not frustrate you! 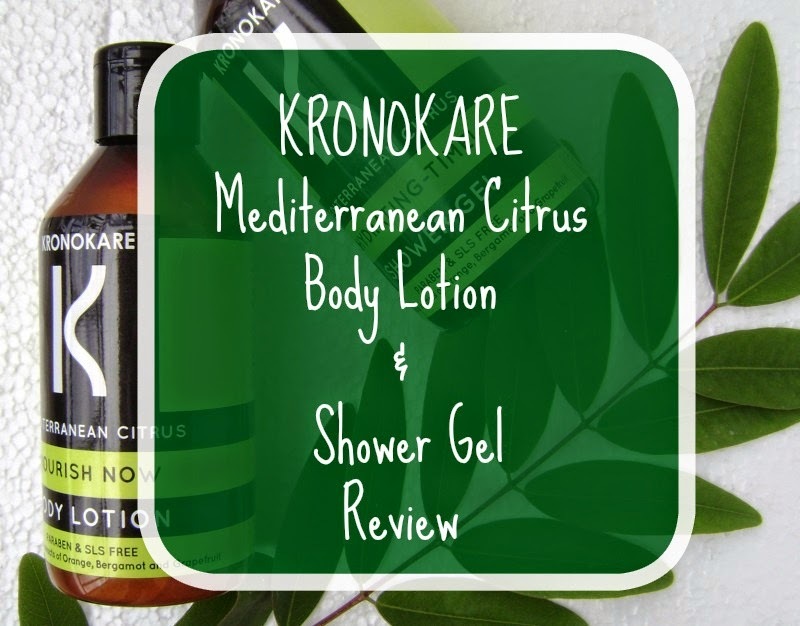 Mediterranean Citrus Shower Gel (Hydrating-Time) and Body Lotion ( Nourish Now) from Kronokare together is a Bomb! The effect and fragrance they have is something divine! Everyone, including some of the guys even, has said that I smell really good and asked me what perfume I am wearing! The fragrance is so sweet and fresh that everyone likes it! I have already told you how good these smell , Let’s see now how they work! A simple yet cute packaging. The Best apart about these is that the instructions and introduction rhyme! There is a flip cap which is tight enough for you to carry these along with you. The Shower Gel – Is a clear gel which foams up pretty well, leaves my skin feeling squeaky clean without drying it a bit! Only thing is you need a lot of it on your loofah. The Body Lotion – is a creamy white lotion which is very moisturizing for my normal skin, so it would suit really well for dry skin as well. It keeps the skin moisturized almost the whole day now and for half a day when it is nippy (Bangalore is a dry place not humid like Kolkata). It needs a bit of massaging to get absorbed. The Shower gel has a very mild citrusy fragrance and doesn’t linger for long if used alone, but if I use the lotion afterwards it stays. The Fragrance lingers for good 3-4 hours and is almost like a mist. I didn’t feel the need to reapply the body lotion a lot but still I do whenever I feel like I want to smell good!The fragrance is citrus yet sweet owing to the bergamot in it! Ohhh, how I love it’s essential oil! Products free of SLS and Parabens, which smell amazing and are biodegradable, plus they do the work they claim. And they are reasonable priced as well! This is the first time I am giving a 9.5 on the must have meter! 9 for the shower gel and 10 for the Body lotion! You can find Kronokare products on Flipkart. Have you tried anything from Kronokare?? Anything you would like me to review?? *The products were sent by the brand in exchange of my honest opinion.